If you are even passively tuned in to the London theatre scene you will no doubt have heard of the Barbican's newest production of Hamlet. It is the hottest show of the year, with tickets having sold out almost instantly. A production of Hamlet on a major London stage is always big news, but this time it is doubly so for the participation of Benedict Cumberbatch, a celebrated stage actor, Oscar nominee last year, and the latest in a line of British thespians to catch fire in Hollywood. This is about as hyped a show as we've seen in London for some time now, and yet the early reaction has been mixed at best. Is this simply an inevitable backlash against the hype, or something else? The Ephemeric went undercover to bring you the lowdown. The first thing that jumps out is that director Lyndsey Turner has not been shy about bringing the changes to what is usually a pretty conservative play. The order of opening scenes has been shifted about, dialogue has been altered, and there are some significant tonal shifts from what one might traditionally expect from Hamlet. First there is the modern setting, which seems to have taken a late 19th Century Prussian style in set design and costume, with some contrasting modern flavour in the form of mid 20th Century music and even some 21st Century flair, most notably with Horatio's appearance as a tattooed East-London looking hipster. At the same time a greater emphasis has been placed on the politics of Hamlet, an element of the script which usually remains largely in the background. Several scenes take place in the war room, with palace staff racing about getting ready for impending tensions between Denmark and Norway. It has more of the feel of a West Wing or House of Cards style political thriller, with a greater link between the ongoing personal drama and an apparent Cold War-era geopolitical context. It's a strangely anachronistic cobbling together of eras, but for the most part it manages to work. Much of this is thanks to the superb production design; the set is impressive, and the small detail in costumes and props do well to bring out the themes of Turner's vision, to say nothing of the ambitious "special effects" used throughout. The only time things really don't work is with the various time-lapse and frozen time effects attempted, which just doesn't look right in live action. It's an adventurous approach to what for most theatre-goers is a familiar play. It may not work 100%, but it is undoubtedly positive to see some fresh perspective on offer, giving proceedings the kind of modern flair that few directors have been bold enough to combine with Shakespeare's most austere tragedies on stage. Noted thespians have often given Hamlet the persona of a deeply tortured man, with an emphasis on his madness. Cumberbatch puts his own mark on it with a superficially lighter interpretation. This is a younger, more irreverent Hamlet, who often has the countenance of a rebellious adolescent than a brooding monarch-in-waiting. His "madness" here is portrayed as more of a ruse to get the better of his rival Claudius than anything darker. It's a credit to Cumberbatch's versatility that he pulls this off without losing the substance of his character's internal struggles, his existential doubts, his familial honour, and maintaining this internal thread even during some of his sillier moments. The rest of the cast is more mixed in its performance. Ciaran Hinds is a very fine stage actor, and probably the highlight of the cast aside from Cumberbatch with his appropriately machiavellian Claudius, while Sian Brooke is fairly impressive in her frenzied, delirious portrayal of Ophelia. But then elsewhere the hipster Horatio doesn't really make an impact, and duo of Rosencrantz and Guildenstern seem strangely underplayed. So clearly there are flaws, and it's easy to see why the typically conservative Shakespeare aficionados in the press would take issue with the litany of bold changes. But if you look past that, you will find a uniquely engaging version of the classic play, and much faster paced than Hamlet's usual ponderous internalising. For all the emotional complexity of Shakespeare's dialogue, no one would describe Hamlet as entertaining, but this production is enjoyable and gripping in a way that the play rarely has been before. It's down to Cumberbatch's charm and humour, the fast-paced political machinations, the grand settings and snappy directing. This is a production that respects the text's intellectual depth without allowing the drama to lull too deep into self-indulgence, and that keeps the audience firmly in the moment. It's a realisation that really hits at the interval, that unmistakable feeling that can only be likened to binge-watching your favourite series on Netflix, and the inevitable compulsion to click through to the next episode. Ultimately that's what this is. 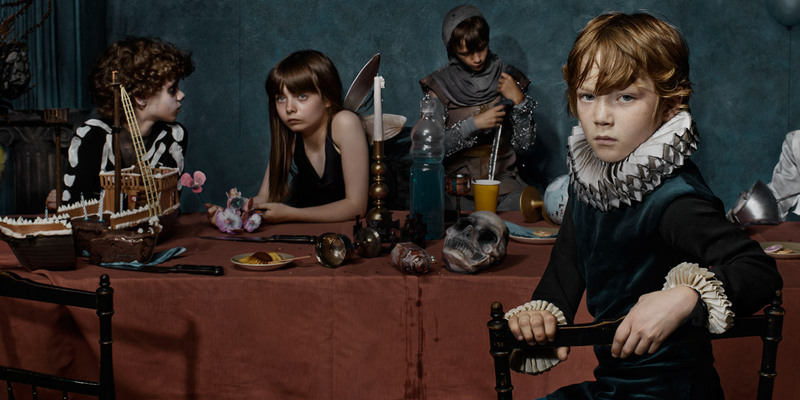 It is Hamlet for the modern audience; a slick and crowd-pleasing reimagining of one of literature's most classic texts. Whether or not that is a good thing is down to personal expectations, but it is hard to be too critical of this entertaining, if occasionally uneven production, and easy to recommend.